It's been a little while since we've had any blood in from CyberPowerPC and I'm pretty happy to have them back around town. They've been doing perfectly fine, but remember that the past two years have seen a lot of divergence by boutiques as they all begin to carve out more distinct niches. 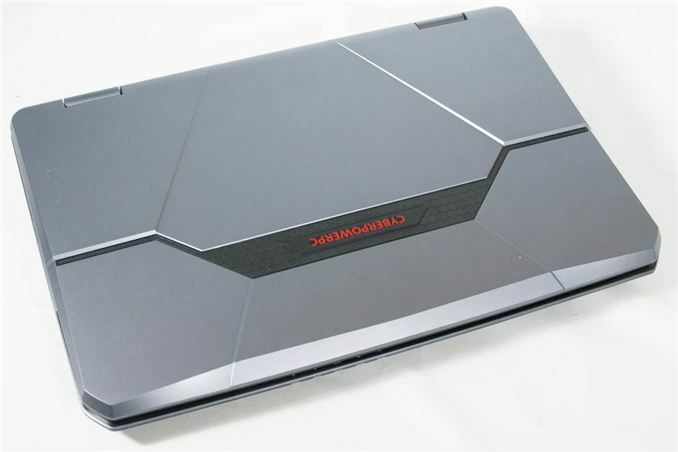 The resurgence of popularity in PC gaming only adds fuel to that divergence, as branding becomes ever more important, and that's what brings us to the customized MSI GT70 we have on hand today in the form of what CyberPowerPC calls their FangBook. If it looks familiar, we've tested a nigh identical chassis before from iBuyPower, in the form of their Valkyrie. But that was last year, August, and CyberPowerPC has put their own spin on this chassis. So if a lot of this review looks familiar, that's going to be a large part of it, and in fact I'm going to eschew going over the design again in detail. The key distinctions in terms of the shell are CyberPowerPC's lid and interior coloring, but beyond those there isn't a whole lot of different action to check out there. On the other hand, though, we do get a chance to check out some new hardware, and that's the really interesting part. We keep the great-feeling-but-poorly-laid-out keyboard from the original MSI design, along with the weight and slightly goofy touch controls. Internally, though, we get to check out the last respin of the entry-level Ivy Bridge quad core, the Core i7-3630QM, but perhaps more importantly we get to play with a Kepler-based GeForce GTX 675MX. The iBuyPower Valkyrie enjoyed a GeForce GTX 675M, which was essentially a rebranded GeForce GTX 580M (itself a cut-down desktop GF114). While we've heavily modified our benchmarking suite for 2013, I do have figures for the GTX 580M/GTX 675M to compare against the shinier, newer GTX 675MX. Fundamentally, the Valkyrie CZ-17 and FangBook are hanging out in the same neighborhood. Both enjoy the same perks (backlit keyboard, healthy port configuration, reasonably low heat and noise), and even the same integrated Killer Networks wired ethernet. We want to look at what's changed in the interim. First, the bottom rung Intel Core i7-3610QM has seen a mild refresh in the form of the i7-3630QM; the 3630QM is essentially identical, but with a 100MHz bump on the nominal and turbo clocks to 2.4GHz standard and 3.4GHz turbo on one or two cores. Our review unit also gets 16GB of Corsair Vengeance DDR3-1600 along with a 60GB Intel 520 series SSD; that SSD is no longer available on the CyberPowerPC, having unfortunately been replaced by a 64GB SanDisk SSD based on a slower Marvell controller. Where I would like to take CyberPowerPC to task is in the wireless hardware that comes standard with the FangBook. I posted my feelings about 2.4GHz wireless to my personal Twitter in terms not particularly safe for public consumption, but essentially my issue is this: the Centrino 2230 with integrated Bluetooth is still a bottom rung, 2.4GHz-only solution. I might not have cared as much before I had a dual band router in my apartment, but now that 5GHz wireless is becoming more common, I really have to bring the hammer down here. 5GHz is a generally less crowded band, and also this is 2013, so maybe our wireless technology should advance further than it was when I started writing for AnandTech. In 2010. Finally, we get to what I think is the meat of the review. Late last year, NVIDIA refreshed their 600 series with the GeForce GTX 670MX and 675MX, replacing the Fermi-based 670M and 675M. For reference, the 675M is a rebranded 580M, certainly a formidable GPU in its own right, boasting 384 CUDA cores (essentially a full GF114) with 620MHz on the core clock, 1240MHz on the shaders, and 3GHz on the GDDR5. 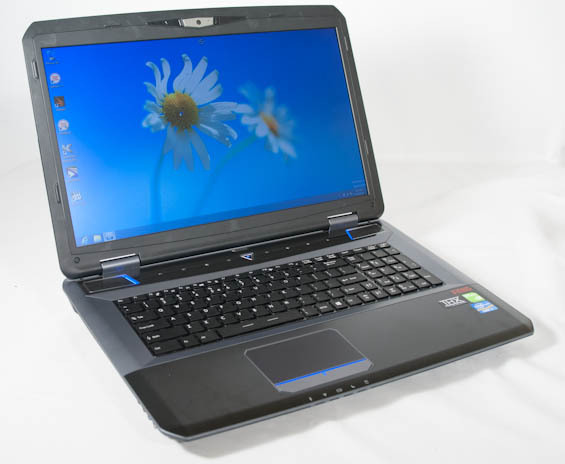 The 675MX, on the other hand, is basically a full GK106 (desktop GeForce GTX 660), though like the FangBook, some of them use harvested GK104s. It sports 960 CUDA cores but drops the hot clocked shaders, so we're looking at 666MHz across the cores and 3.6GHz on the GDDR5. Both chips feature a 256-bit memory bus. Doing the math (or just being lazy and opening GPU-Z) reveals that the 675MX has 120% of the 675M's memory bandwidth, 135% of the 675M's texture fillrate, and ~135% of the 675M's pixel fillrate. That means that at absolute worst, the 675MX should be about 20% faster than the 675M. All of this on top of the newer, more efficient Kepler architecture, and the 675MX should theoretically be a slam dunk when compared to its predecessor. As it turns out, though, that's not entirely the case. Is that thing really 3.1 Kg?? ?